Learn Roti Recipe | Phulka Recipe | How to make Soft Rotis or Chapati recipe with step by detailed video tutorial. Roti is a simple and traditional round Indian flatbread bread which is also known as Chapati or Phulka throughout the country. Roti is made in every part of India but it is a staple food in the Northern part of India. 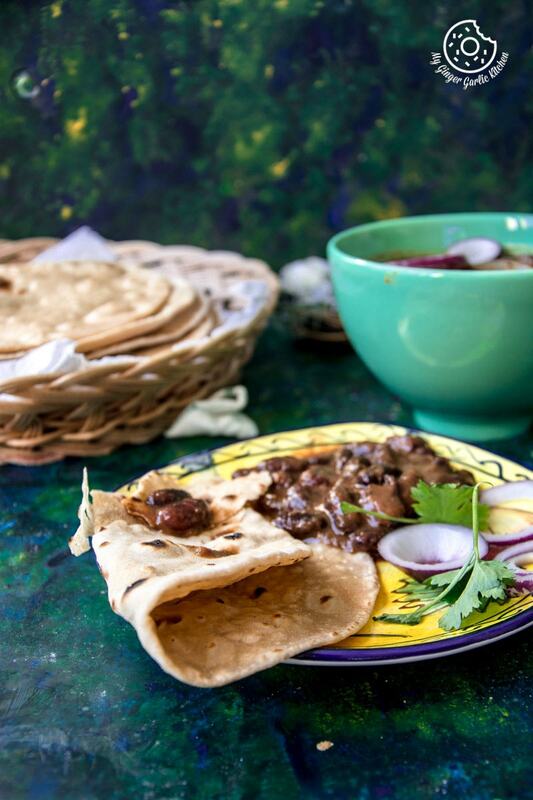 Rotis are best paired with dal or any type of curries. For those who don’t know about Roti, here is a little intro. Roti is an Indian unleavened bread which is also known as Chapati or Phulka throughout the country. Roti means ‘bread’. 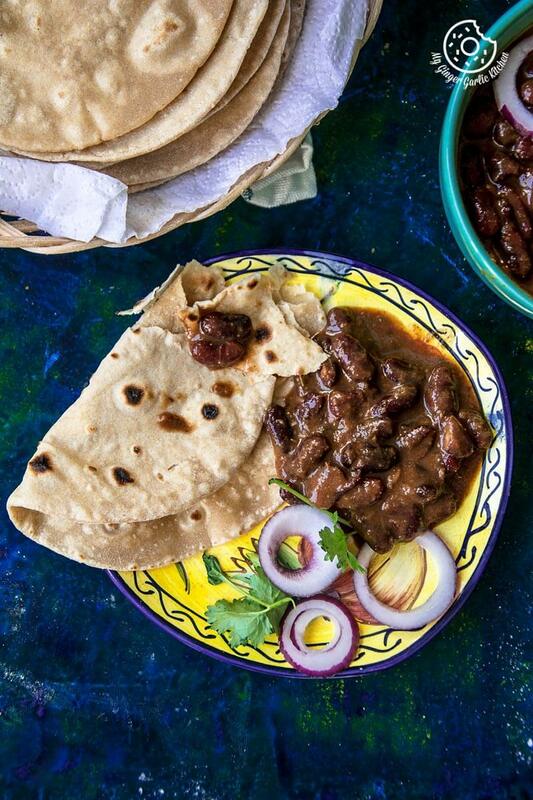 Chapati comes from the word chapat, which means flat. So chapati is a simply known as flatbread. Phulka means ‘puffed up’ in Hindi. Names are different but the final product is 99% the same. The 1% difference comes from different rolling and cooking techniques. 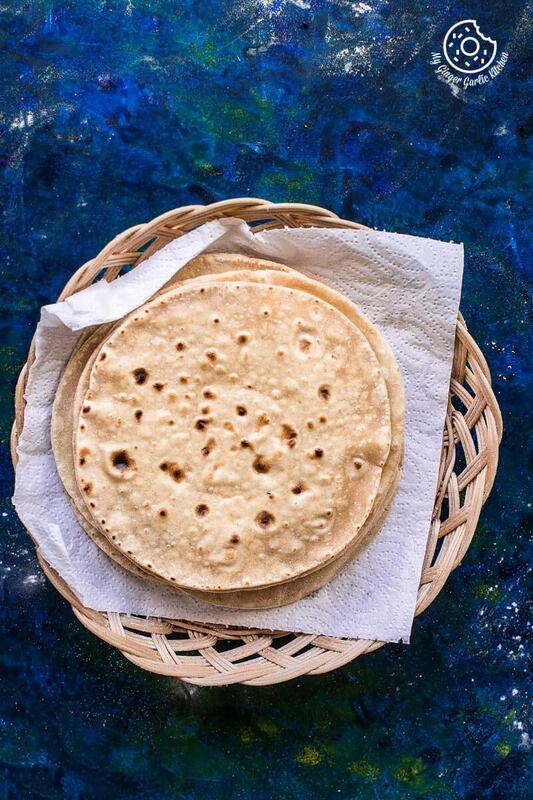 The basic dough for this roti is made from ‘atta’, whole-wheat flour (durum wheat-flour), salt and some water. However, my mom used to add some salt so I also do that. And I also apply some oil/ghee on the dough, this ensures that your rotis would be soft even after cooling down. To make them even softer apply ghee or butter when they are hot. 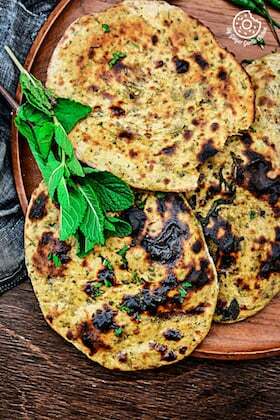 Chapatis or Rotis taste best when are fresh. If you are not eating rotis right away, then I would suggest you to keep chapatis on a wiring rack to cool down. 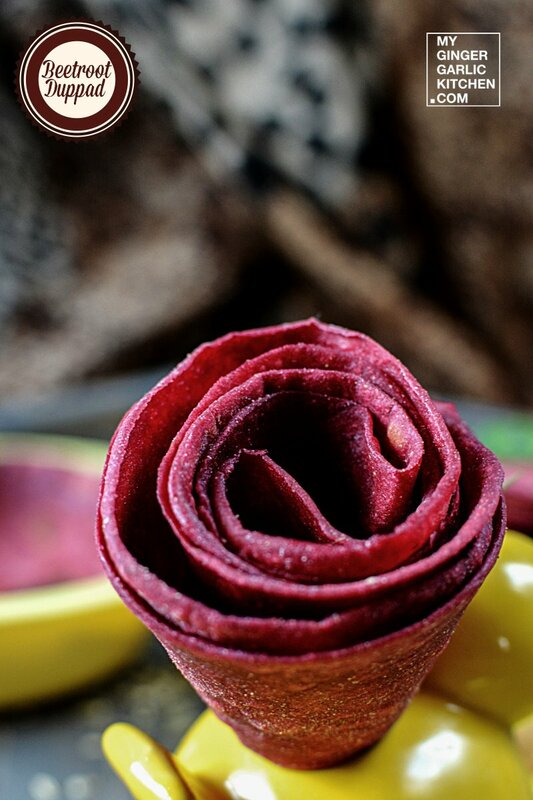 Once the rotis are cooled down, simply wrap them in a kitchen tissue first and then in a muslin cloth or in a foil wrap. 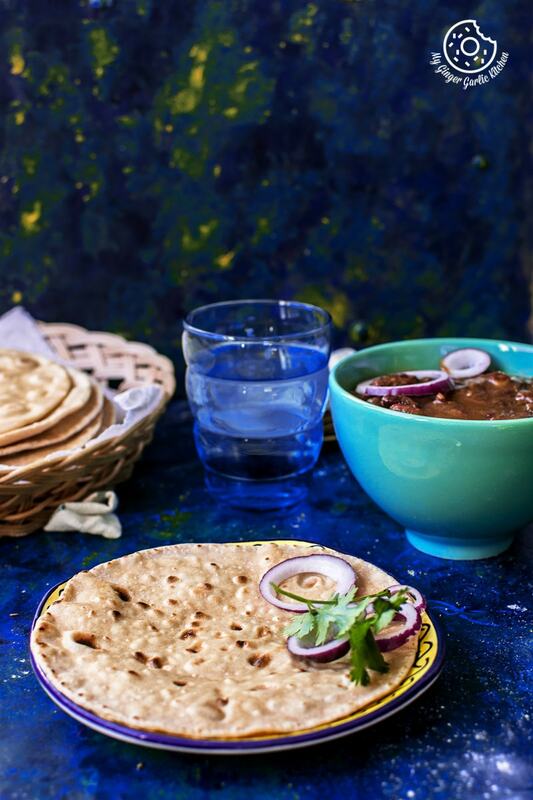 These chapatis stay fresh for 4-5 hours at room temperature in a roti dabba. Yes, reheating roti is Possible. You can eat rotis as they are, or you can also re-heat them if you are carrying them in your lunch box. Simply microwave for 15 seconds in microwave. You can even re-heat them on the stove. In current times, Rotis are simply rolled with the rolling pin like any other flatbread. Some like to roll it with a rolling pin and other’s like to make it with the palm, by patting and pressing the dough-ball between palms to shape it into a circle. However, ancient women only used this palm technique to make roti. They never used any rolling pin aka ‘belan’ for making phulkas. Some women still use this rolling technique, specially with the thich flatbreads such as Makki Ki Roti, Khoba Roti. It was indeed a time taking process. My grandmother also used to make chapati with hands occasionaly. Rotis are rolled first and then get roasted on a hot tava, or tawa/pan. And then they are cooked right on fire until they are puffed and have nice brown spots. Then comes the cooking techniques. Some like to cook them on a tawa/pan first and then cook it directly on the flame or the stove. The roti gets puffed up when they come directly in contact with flame or heat. And others like to cook roti entirely on a pan. Rotis also get puffed up on tawa. No matter which technique you use out of these two, both techniques will get you nice and puffed rotis. Here I am sharing both cooking methods in the video embedded in this post. Roti is a simple and traditional round Indian flatbread bread which is also known as Chapati or Phulka throughout the country. Roti is made in every part of India but it is a staple food in the Northern part of India. 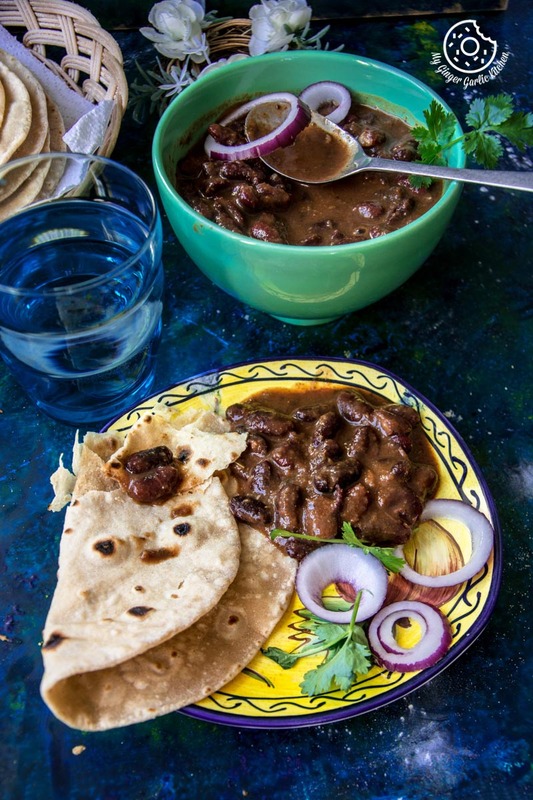 Rotis are best paired with dal or any type of curries. • ½ cup warm water or more if needed. 1. In a large mixing bowl, add whole wheat flour and salt and mix it thoroughly. 2. Add enough warm water and start mixing and knead to make a smooth dough. 3. Knead the dough with your fist and knuckles till it is soft. Roti dough should be really smooth and elastic. Kneading would take about 10 minutes. (You can also knead the dough in a food processor). 4. Smear a little oil over the dough and cover with a kitchen towel and set aside for 30 minutes. 5. Knead the dough again for few seconds. 6. Divide the dough into 11-12 pieces and roll them between the palms to make lemon sized balls. 7. Dip one dough ball into some dry flour and flatten it. 8. Roll it with light hands into a thin flat circle of about 6-7″ diameter. 2. Once the pan is hot, then put the rolled roti on it. 3. When you see bubbles forming up, flip it and cook on the other side for few seconds or until you see brown spots. 4. Hold roti with a tong and place it directly on the flame. 5. At this point, your roti would start to puff. Flip it and cook on the other side too. 6. Brush cooked roti with ghee and serve hot with curry, or keep it aside covered with a muslin cloth. 2. 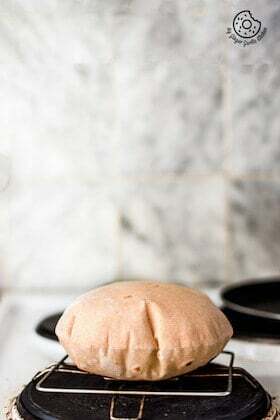 Once the pan is hot then put the rolled roti on it. 4. Put a roti stand directly on the induction/electric. 5. Hold roti with a tong and place it directly on the flame. 6. At this point, your roti would start to puff. Flip it and cook from the other side too. 7. 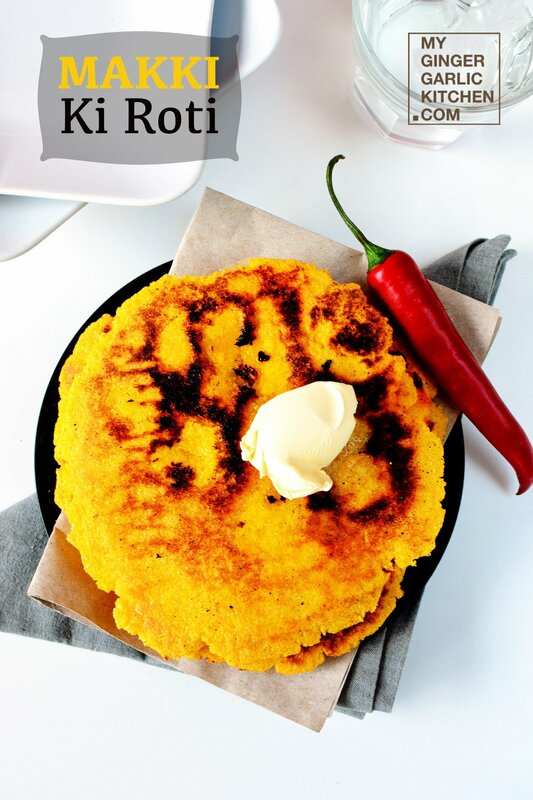 Brush cooked roti with ghee and serve hot with curry, or keep it aside covered with a muslin cloth. 4. Now lightly press down with the back of a spatula. This pressing would help roti to puff up. 5. At this stage, your roti should start puffing. 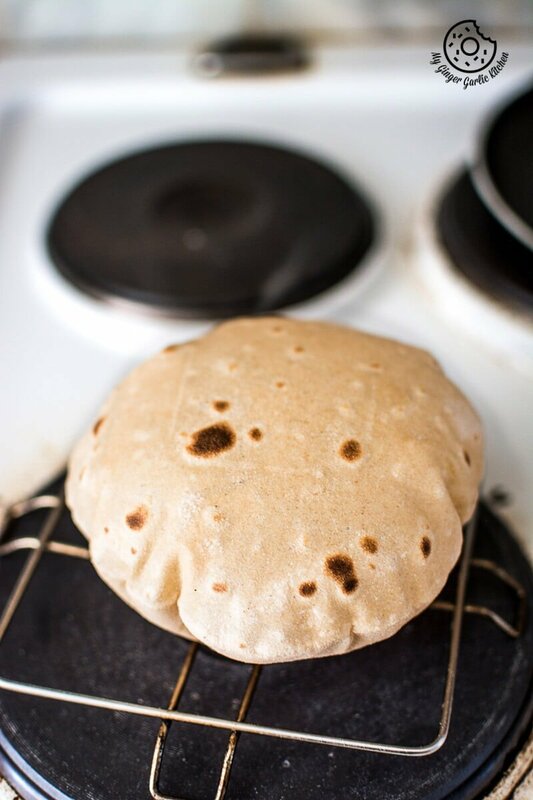 Keep pressing lightly till the entire roti is puffed. 6. Flip it and cook till from the other side too.